It grants visionary states of consciousness, enhances creativity, and is not currently regulated by U.S. federal drug laws. No, I’m not talking about Salvia divinorum, but hypnagogic imagery. Before you go looking for that at your local headshop, take note you already experience it every single day (well, night). The trick is remembering it. You know the feeling. You are laying in bed, or even better, napping on the couch, and the images of the day, the background thoughts which are always there, a constant hum, begin to take on a certain Cheshire cat-grin leer; fanciful and odd images begin to swim by as effervescent as soap bubble rainbows; fairy wings, a blue stag, patterns of red and blue (for me there is often a tunnel or kaleidoscope quality to the imagery) all swirl about, just as your consciousness relaxes its grip on reality. Hypnagogia in Greek means, roughly, abducting into sleep, or leading to sleep, depending on how you would translate it. 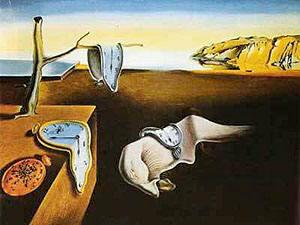 It is that liminal in-between state where you are just beginning to dream but are still conscious. A vague subterranean world reveals itself, little by little, and there the pale, grave, immobile figures that dwell in limbo loosen themselves from shadow and darkness. And thus, the tableau shapes itself, a new clarity illuminating and setting into play these bizarre apparitions; the world of spirits opens itself to us. 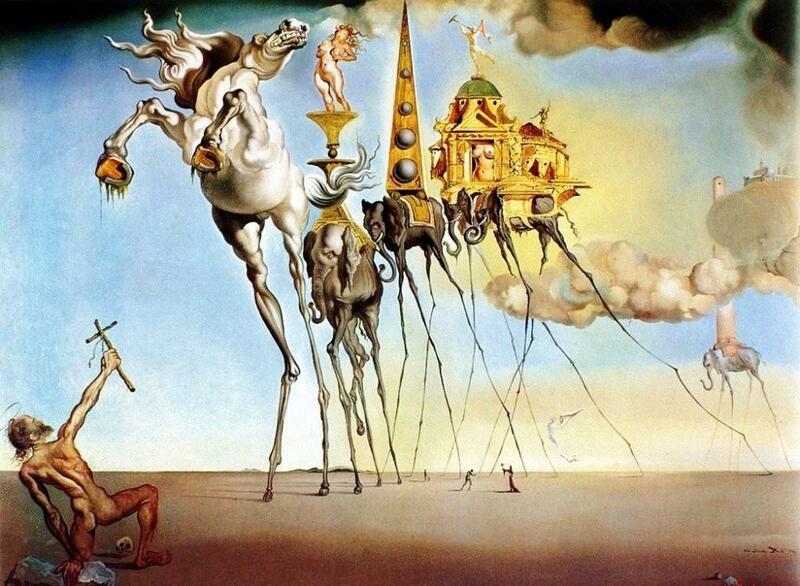 Other geniuses knowledgeable of this technique include Carl Gauss, Sir Isaac Newton, Johannes Brahms, and Sir Walter Scott, but the person perhaps most successful at harnessing the creative energy was Salvador Dalí. A well-read student of Sigmund Freud, Salvador Dalí—who never used drugs and only drank alcohol (especially champagne) in moderation—turned to a most unusual way to access his subconscious. 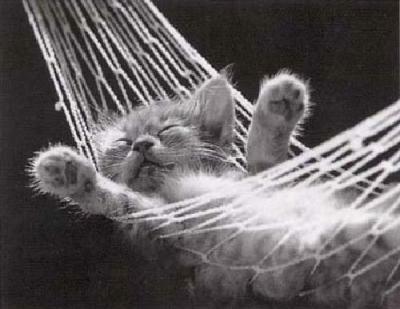 He knew that the hypnogogic state between wakefulness and sleep was possibly the most creative for a brain. Like Freud and his fellow surrealists, he considered dreams and imagination as central rather than marginal to human thought. Dalí searched for a way to stay in that creative state as long as possible, just as any one of us on a lazy Saturday morning might enjoy staying in bed in a semi-awake state while we use our imagination to its fullest. He devised a most interesting technique. How simple, how obvious and elucidating this is! To think that those images of towering giraffes, lions stretching out of pomegranates, and 4-dimensional tesseract crucified Christs were in fact straight of out dreams makes one realize that the mojo of the king of surrealism (not to mention a potion for creativity strong enough to intoxicate the likes of Newton and Beethoven) is in fact available to us right here and now, and the only cost would be trading in a nap for a drowsy state of temporary self-denial; the hardest part is simply not letting yourself go all the way to sleep. My experiments have shown that a ceramic plate works just as well as a metal bowl. Of course some may prefer trying this experiment with a tape recorder instead of a pencil, but I have found operating “technologically advanced” equipment to be counterproductive towards fostering the desired dream state. Obviously if you are hunting for images rather than words, then only a pencil and paper will do. Another tip—you may want to dim the lights or even try writing with eyes closed. You will be surprised at how easy this is: you don’t need to watch your hand to be able to scrawl somewhat legibly, your hand knows what it’s doing! So, it is as simple as that. And best of all, there is absolutely no hangover or come down to this trip. It is most pleasant, however, if you allow yourself the time to take a full and proper nap after you have gotten your notes and sketches down.